“Hello! My name is Sveta. I’m a founder of Audio Accessibility. September is Deaf Awareness Month. Deafness is NOT a bad thing. 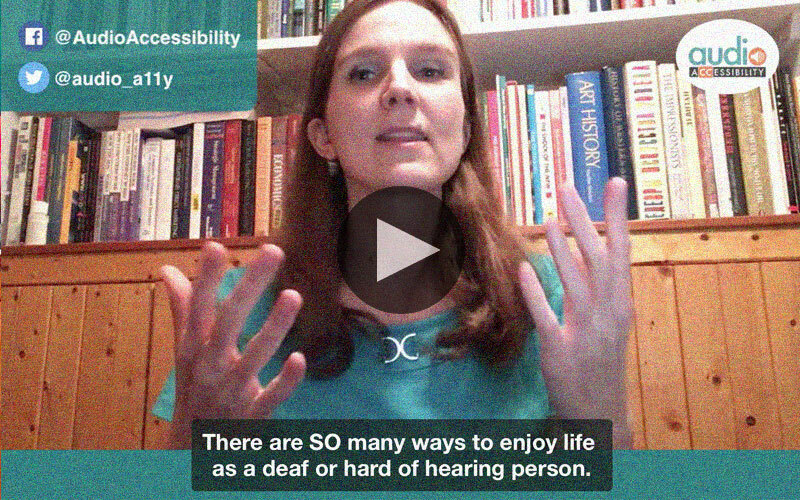 There are SO many ways to enjoy life as a deaf or hard of hearing person! We can use hearing aids or cochlear implants. Some want to hear, others don’t. Those devices are NOT a cure for deafness, but they are great tools for those who want to hear better. We can talk and lipread to some extent. If we have difficulties lipreading, we can use sign language or cued speech. If we or someone we talk to don’t know sign language, we can communicate through paper and pen or typing. 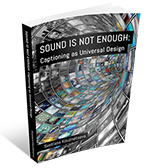 We can enjoy TV, shows, movies, videos with closed captions. For live events, classes, work meetings, we can use a wide range of communication access options such as live captions, sign language interpreters, oral interpreters, cued speech transliterators, assistive listening devices, preferential seating, and so on. We all have different communication abilities and needs. Deafness is NOT a barrier for us. We are NOT limited by our deafness. We are limited by the lack of accessibility and the stigma of deafness by society. Being hearing is NOT better than being deaf. We CAN do ANYTHING! Let’s think outside the ears!